Home / Opinion / Jay Sonza: "Magkaiba talaga ng daigdig si Mr. Duterte at Mrs. Robredo." Jay Sonza: "Magkaiba talaga ng daigdig si Mr. Duterte at Mrs. Robredo." 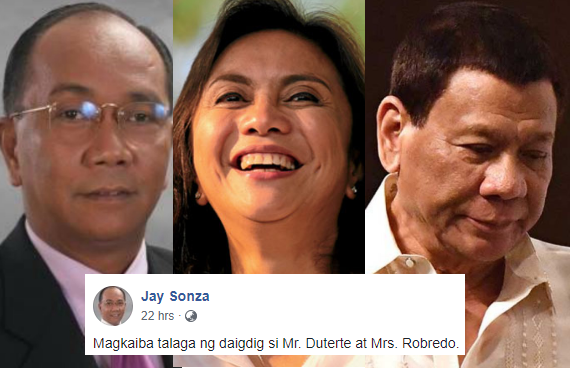 Veteran broadcaster and former TV host, Jay Sonza, once again wrote a very striking opinion, this time about the apparent distinction between President Rodrigo Duterte and Vice President Leni Robredo. Known to be sometimes amusingly interesting and and the same time dauntless in talking his psyche, Sonza then again took to social media and wryly displayed the difference among the two leaders. According to the veteran broadcaster the nature and lifestyle of President Duterte and VP Robredo is very different. "Magkaiba talaga ng daigdig si Mr. Duterte at Mrs. Robredo. ", he wrote. Mr. Sonza set the recent world championship boxing game in Malaysia, won by the Philippines' very own Manny Pacquiao vs Lucas Matthysse of Argentina, as an example, against an NBA game in Boston USA. He then detailed the dissimilarity on how President Duterte with his son, Baste, watched the world championship boxing in Kuala Lumpur, Malaysia, at the top of the general admission which is said to be free of charge, versus that of Vice President Leni Robredo and daughter, watched a professional basketball (NBA playoff) in Boston USA for ringside tickets worth hundreds of thousand. 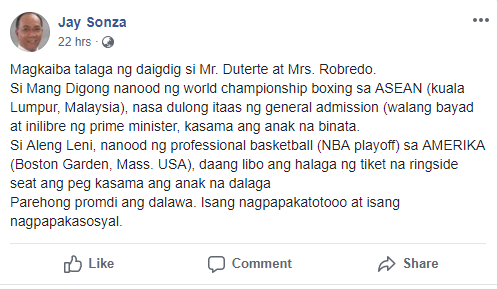 "Si Mang Digong nanood ng world championship boxing sa ASEAN (kuala Lumpur, Malaysia), nasa dulong itaas ng general admission (walang bayad at inilibre ng prime minister, kasama ang anak na binata." 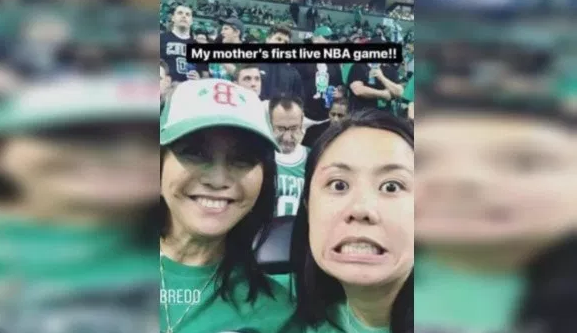 "Si Aleng Leni, nanood ng professional basketball (NBA playoff) sa AMERIKA (Boston Garden, Mass. USA), daang libo ang halaga ng tiket na ringside seat ang peg kasama ang anak na dalaga. ", Sonza exclaimed. Likewise, Mr. Sonza specified that the two leaders actually both grew up in the province but their lifestyles are distinct. One is self-respecting and genuine while the other is a status seeker. "Parehong promdi ang dalawa. Isang nagpapakatotooo at isang nagpapakasosyal. ", he uttered. "Magkaiba talaga ng daigdig si Mr. Duterte at Mrs. Robredo." "Si Aleng Leni, nanood ng professional basketball (NBA playoff) sa AMERIKA (Boston Garden, Mass. 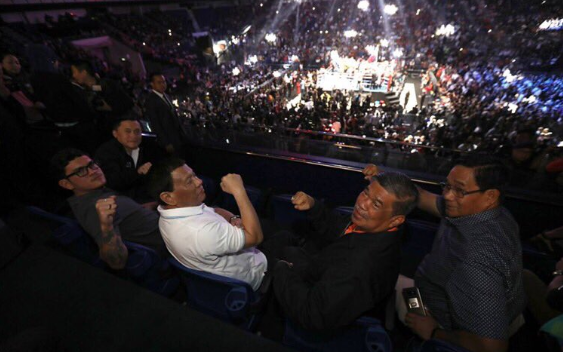 USA), daang libo ang halaga ng tiket na ringside seat ang peg kasama ang anak na dalaga"
"Parehong promdi ang dalawa. Isang nagpapakatotooo at isang nagpapakasosyal."